Following a great year as our Artists in Residence in 2016, we’re delighted to welcome back Faustus (Saul Rose, Paul Sartin, Benji Kirkpatrick) to lead this course for musicians and singers (intermediate level and above). Get your year off to a cracking start! Working in small groups you’ll explore how to source and arrange material drawn from the Halsway collection and online resources. Practical workshops and formal guidance will be combined with fun and social sessions and activities to ensure you have both an enjoyable and productive time at Halsway. The week will include a trip out to local cider bar Pebbles Tavern for a session, and you’ll have the opportunity to perform your new work as part of a concert with Faustus on the final evening. The course is limited to 20 participants. Musicians – any instrument (please let us know when booking) – and singers of an intermediate level and upwards. This is not a course specifically aimed to develop your voice or your playing, though you will have expert support and encouragement; it’s all about learning to interpret and arrange material with others, so you’ll need to have a sufficient skill level to get involved. You’ll need to be able to play tunes up to speed and able to read music or pick up tunes quickly by ear. You’ll have experience in, or a desire to play in ensembles and perform in public. You’ll get the chance to perform your work in a concert with Faustus at the end of the week. Benji Kirkpatrick was a key member of the now disbanded folk big band and BBC Award winners Bellowhead. He spent three years in the Seth Lakeman Band, featuring on a number of Seth’s successful releases. Steeleye Span invited Benji to join them in 2017 and he is set to continue to work with the folk rock pioneers as a member of the band, who will celebrate their 50th year in the business in 2019. He has also released four solo albums, the latest ‘Hendrix Songs’, saw him strip back the songs of his hero and set them in a new, acoustic light. Following on from this and his work with others, Benji has formed his own outfit, ‘Benji Kirkpatrick & The Excess’ with Pete Flood (drums) and Pete Thomas (bass). The band plan to hit the road accompanied by a new release in 2019. Saul Rose was a long time member of Waterson:Carthy, winning two BBC Radio 2 Folk Awards with ‘Broken Ground’ and forming a duo with Eliza Carthy. The double album ‘Red Rice’, of which Saul was an integral part was nominated for the Mercury Music Prize in 1998. More recently Saul has joined Whapweasel, played in Ruth Notman’s band, and re-launched his duo with Maclaine Colston. He has appeared as a guest artist on many albums including Jackie Oates’ ‘Hyperboreans’, Norma Waterson and Eliza Carthy’s ‘The Gift’ and the soundtrack for the film ‘Morris- A Life With Bells On’. He was nominated as Musician of The Year in the 2010 BBC Folk Awards and in 2011 took the part of Songman in the West End play War Horse. 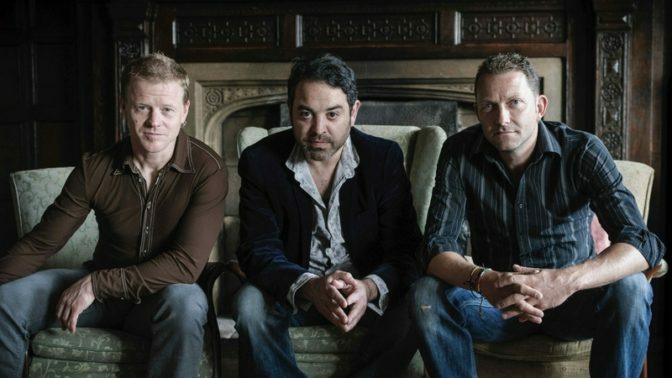 Paul Sartin is also a former member of Bellowhead, as well as one-half of BBC Folk Award nominated duo Belshazzar’s Feast. He is Director of the Andover Museum Loft Singers, author of a number of books, and is a composer of note with recent works including ‘The Hartlepool Monkey’ for Streetwise Opera (BASCA Award nominated), and commissions from Aldeburgh Music, the Southbank, and BBC Radio 4. Faustus spent 2016 as ‘Artists in Residence’ at Halsway Manor, researching and rehearsing material – drawn in part from the Halsway library and archive – before recording their album ‘Death and Other Animals’ here in the Summer. The trio ran two workshop courses during the year to pass on their expertise to others and are keen to continue that work in this latest course. The trio were crowned as winners of the 2017 German Record Critics Prize.